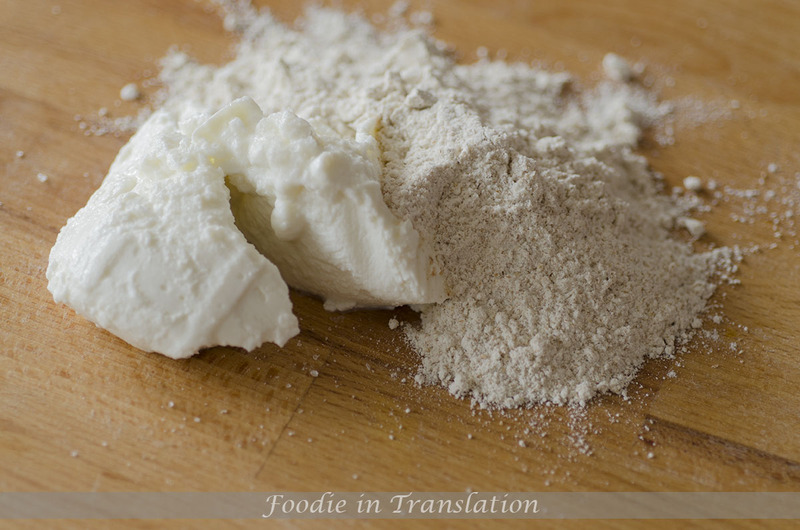 Put the ricotta cheese on a wooden board, add a pinch of salt, the flour, gradually, and knead rapidly. The flour quantity may vary depending on the ricotta cheese. Be careful not to over-knead it (the secret is knead it just the time it needs to come together, not a minute more 😉 ), the dough has to be smooth and uniform . Form a ball and let it rest 10 mins. 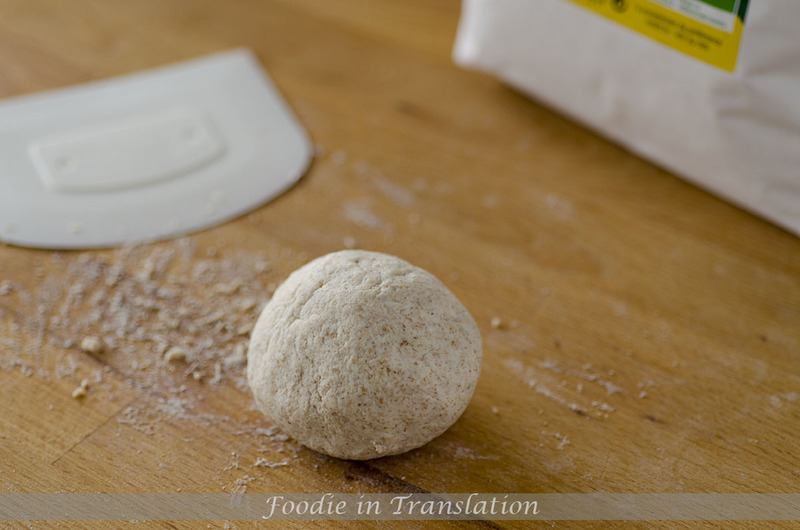 Take the dough, place it on the floured work surface and cut it into pieces. Roll the dough piece into a evenly-distributed rope. 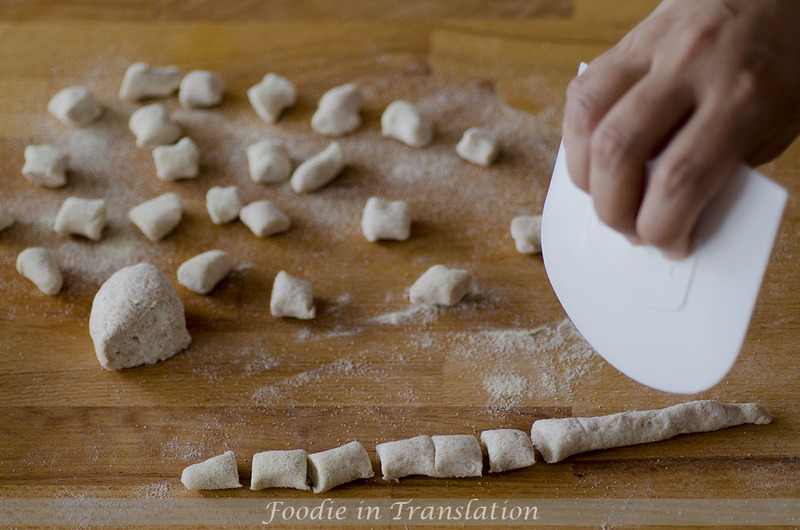 Cut the ropes into pieces, dust them with semolina and let them rest until the water is boiling. 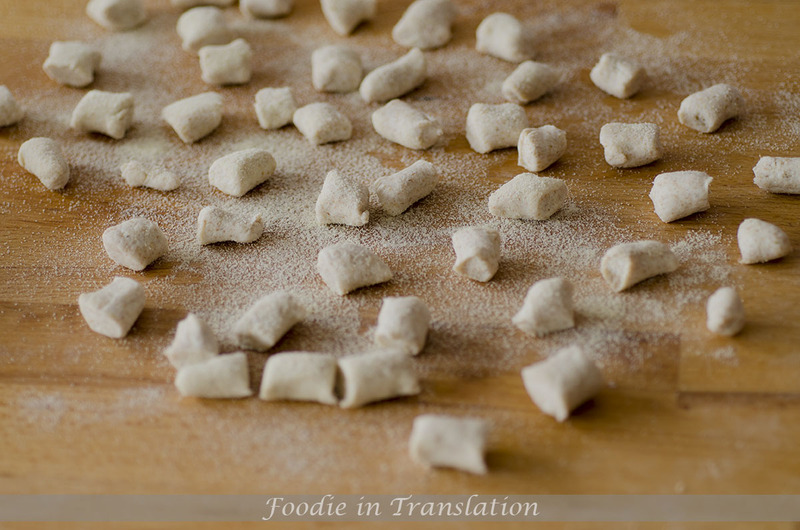 The ricotta cheese gnocchi are ready! You only have to cook them in a lot of salty, boiling water with a drizzle of olive oil to prevent sticking , and drain them with a skimmer spoon once they float to the top.